Wn88 a standard small Wn armed with one 5cm KwK gun and a heavy machine gun in casemates. 1 x 5cm le.Gr.W.203(f) Mortar. 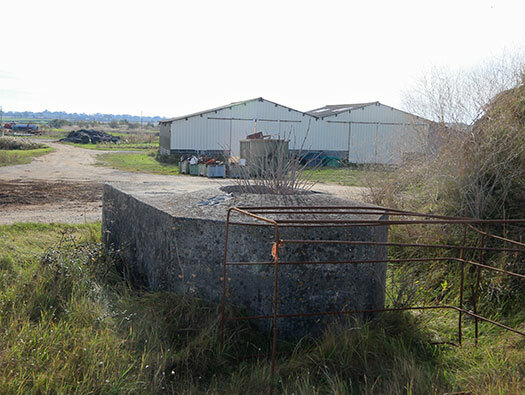 One of two Tobruks in the local defence, this one covers the north sector and the other may have been sea ward of the Vf4a casemate (I cannot find it even in old photos). These seem to be very well built, they also age well. 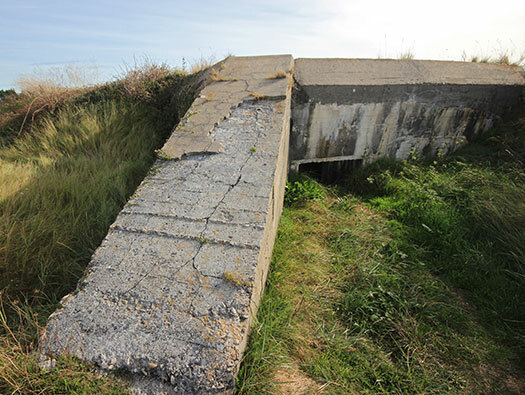 The entrance into the Tobruk which may have had a trench leading from the other defences to this Tobruk. 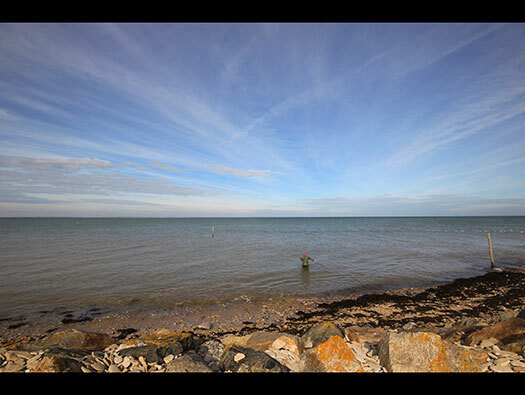 The view north with the Tobruk set off to the right and inland. 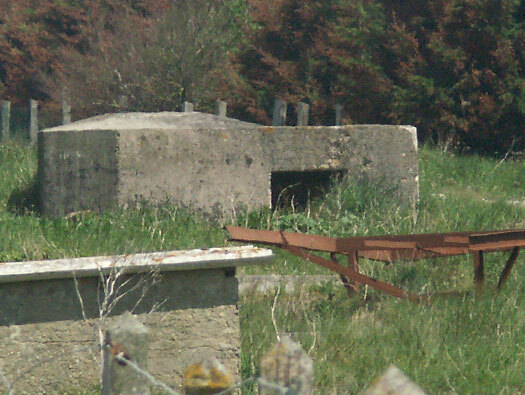 The casemate for a 5cm KwK L/42 rather bashed but still looking a bunker. 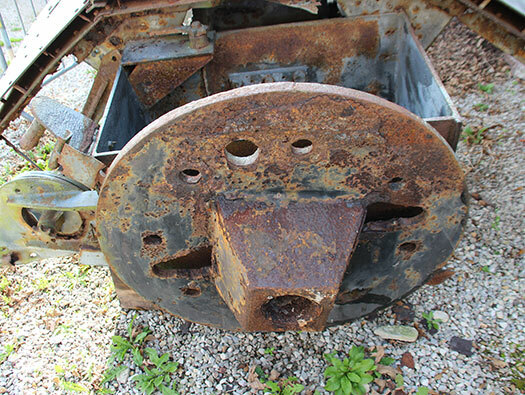 5cm KwK in a casemate. 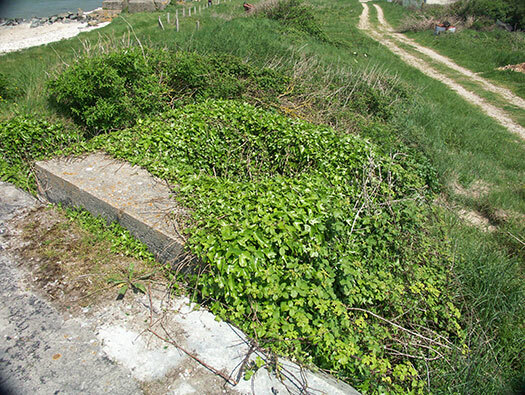 The very long flanking wall to protect the embrasure and gun from direct fire from the seaward side. 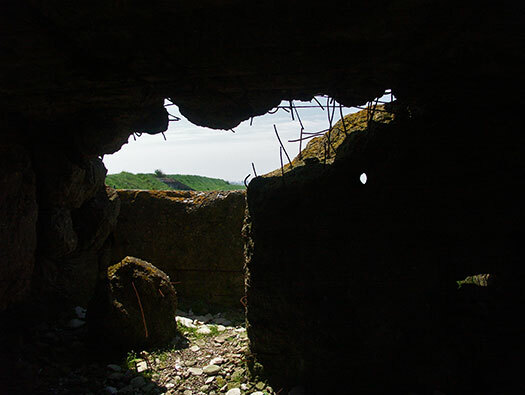 Looking into the gun room now totally destroyed, what often happened. 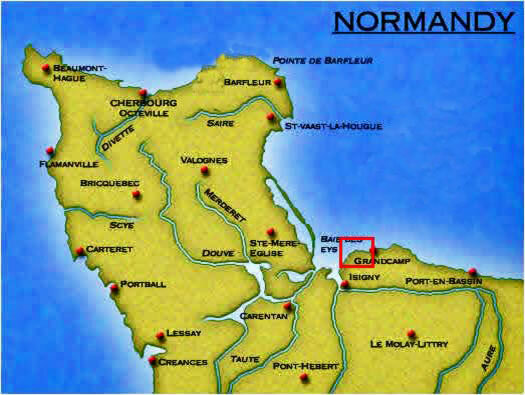 After capture all the ammunition in the area would be placed inside one of the bunker/casemates. Then the lot was exploded. 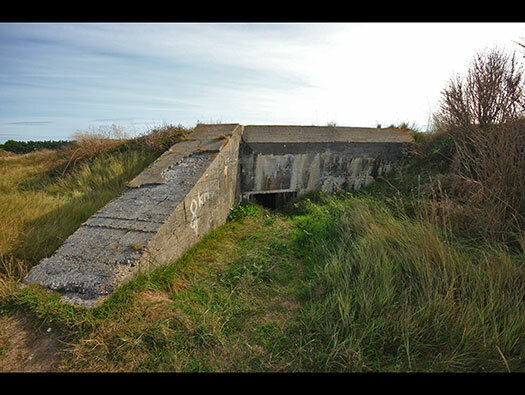 Some bunkers with large amounts of ammunition, blew the bunkers to absolute pieces. Others like this, just lifted, cracked and then settled back down. Gun room with maybe part of the gun in place?? 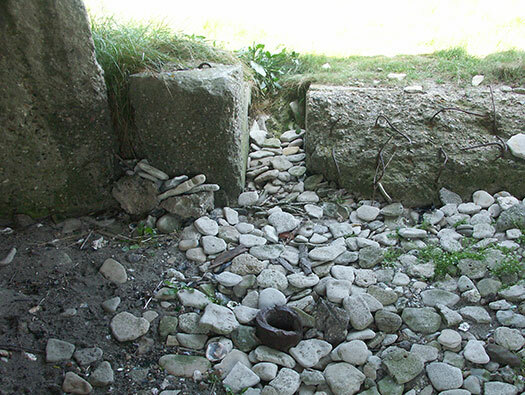 The base of the gun with bolt holes to fit into the hold fast in the base of the bunker, the square shape fitted into a hole in the floor and bolted down. This is the guns base fitted into a ringstand and the gun slots onto the centre post. 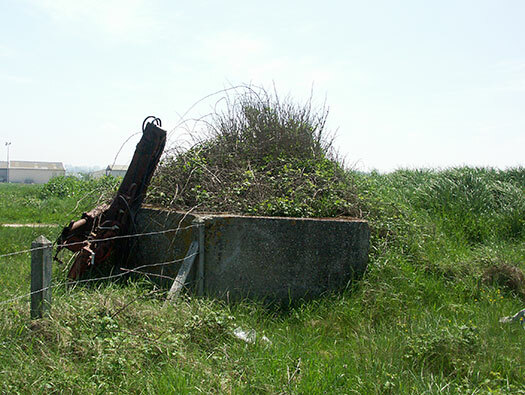 The gun an 5cm KwK L/42. 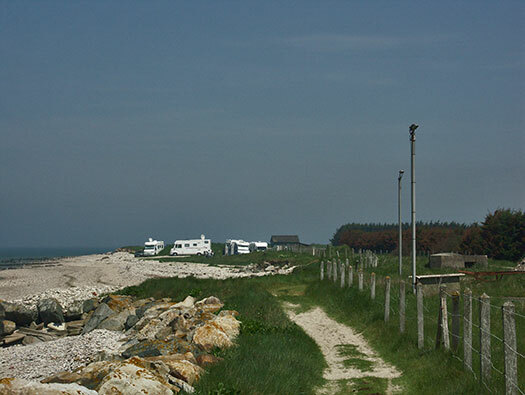 The gun room looking north up the coast. 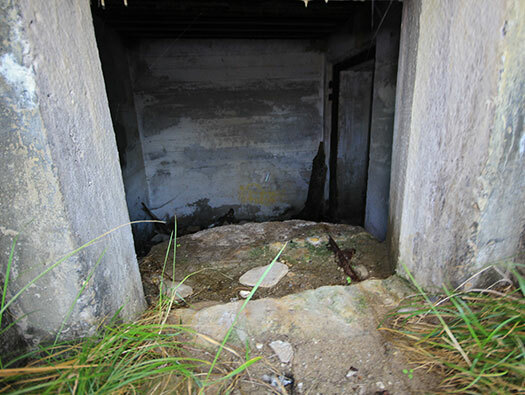 The rear of the casemate showing its protected rear entrance. 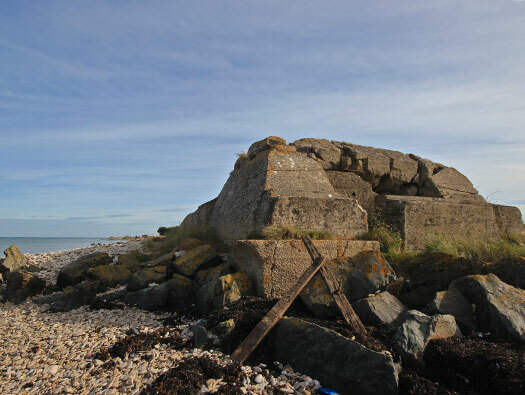 Looking onward to the Vf4a casemate. 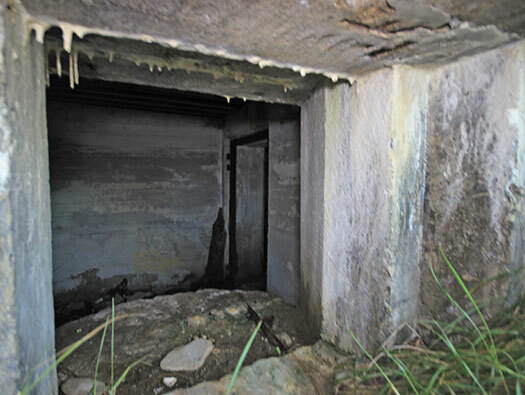 A large flanking wall protecting the embrasure like the R667 earlier. 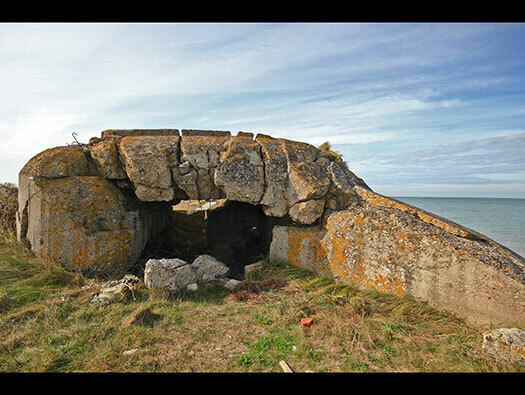 I rather tall embrasure with a half round table to set a machine guns legs on. There were at least three German types of machine gun that could be used but also many captured machine guns, French, Polish & Czech to name three. Machine gunner in a casemate. Now you can see the entrance into the crew room and through a 19P7 door and the way to understand what door was fitted, look at the hinges on the doors frame, that gives it away. This is a lightly armoured gas tight door with a glass small window at head hight and two large handles to lock the door closed and pulling in the rubber gas seal that is around the door. Plan of the door hinges. The flanking wall which has been nicely rendered over from the original rough shuttered finish. 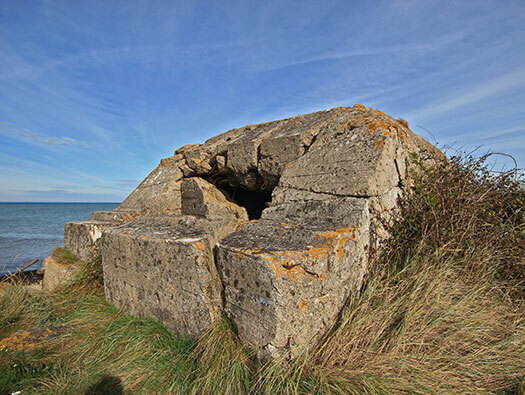 Its a Machine Gun casemate, shrapnel proof and a design date of 1942. 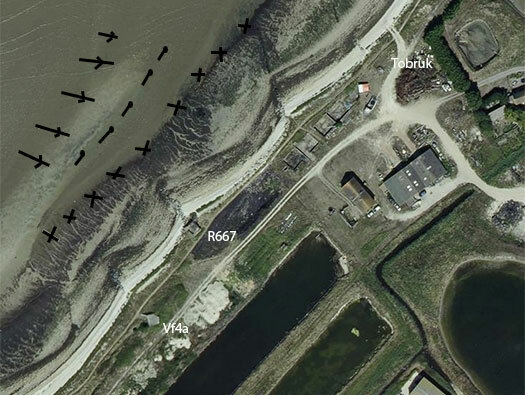 VF Verstärkt felmä§ige VF or semi-permanent bunker of between 80 to 100mm (Rolf). 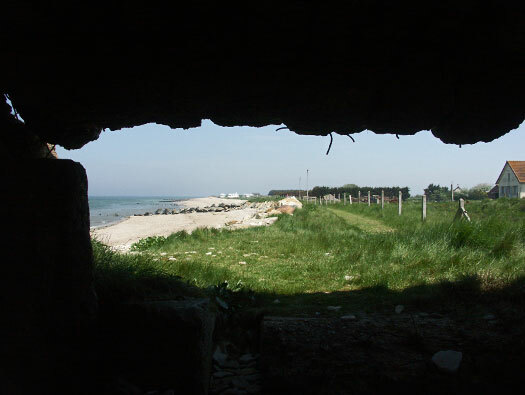 The view the bunker would have had. 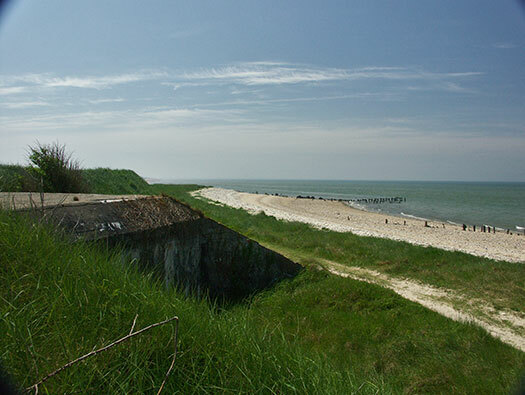 There was NO anti-tank gun that covered this portion of the beach?? Extra ammunition room. 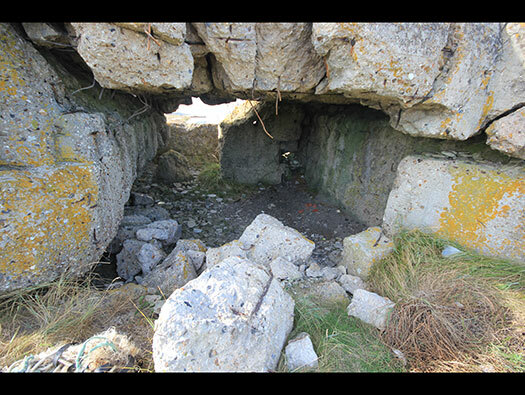 I think this was a small room to add for extra storage and ammunition. 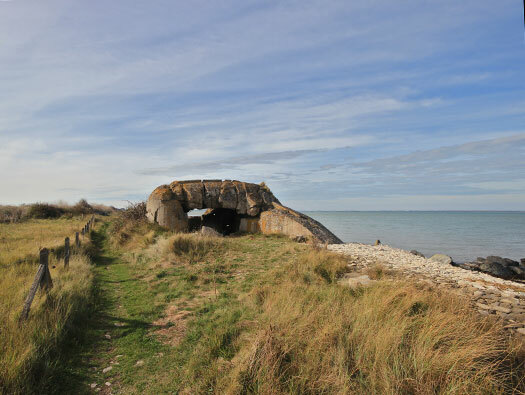 The main bunker has a gun room, a crew room and an entrance/ammunition room. Vf4a how I see it with its small ammunition room added on the back. 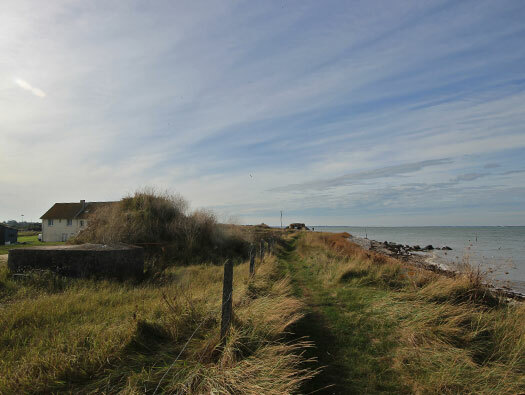 Its very overgrown and cannot be looked into on my visits. 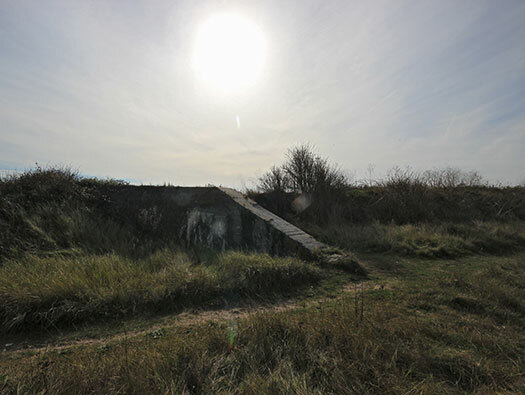 The ammunition room at the rear of the bunker.